Connect the NODE 2i easily to any existing stereo system to unlock and discover a universe of audio streaming. With more than enough analog and digital input/output options to please the most ardent audiophile, the NODE 2i connects your gear to all the music ever recorded. 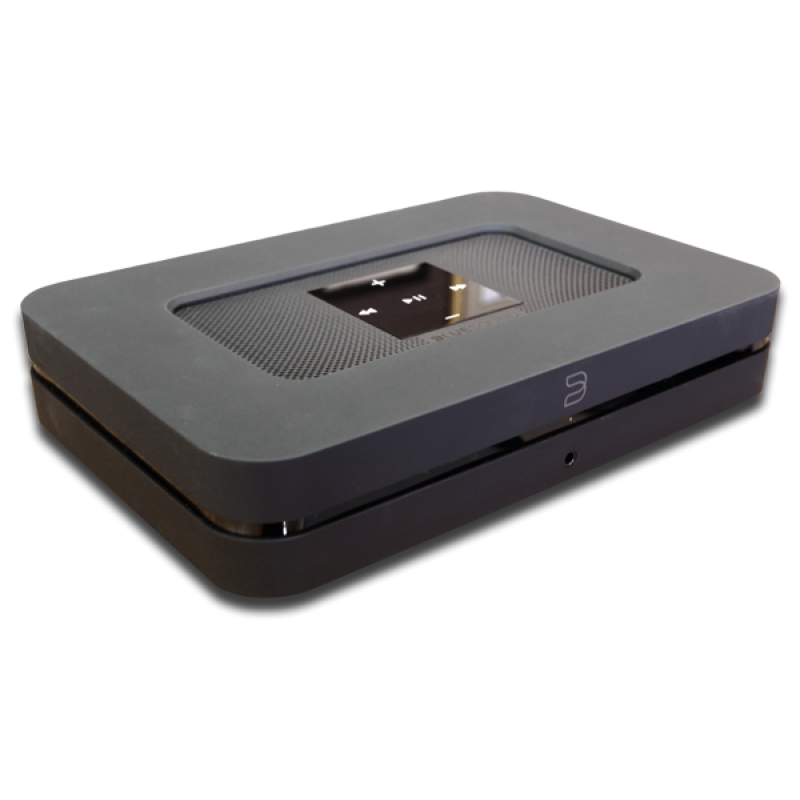 Online streaming services, internet radio and even your own digital music library held on a computer, smartphone or external drive - the NODE 2i brings infinite playback choices into your very own high fidelity sonic domain. First up, the NODE 2i has enhanced dual band WiFi, providing best-in-class performance even in crowded airspace. Bluetooth performance is also seriously stepped up with state-of-the-art aptX HD, supporting 24 bit streaming directly from your phone or tablet, and the ability to transmit studio-quality music to Bluetooth headphones and speakers. High-end DAC technology built into every Bluesound player can decode and stream MQA files in all their lossless glory. ALL THE MUSIC EVER RECORDED. Bluesound Generation 2i is the next iteration of the Bluesound product lineup. Building on the strengths and success of the Gen 2 platform, Gen 2i boasts several technological updates that will be sure to add to the excitement and demand for these popular products. 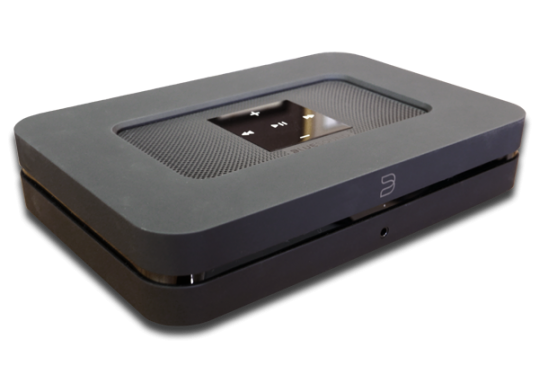 Gen 2i is a physical representation of Bluesound’s commitment to iteration, improvement, innovation, and of course, our brand identity. Improvement means we look at what we do now and adjust create a better product. It means we listen to our customers to understand their needs and wants. Innovation means we use creativity, experience, expertise, and perspective as we look to the future, so that our customers can experience their music in new and fresh ways. It means we draw on our HiFi heritage - the heart, soul, blood, and sweat that have gone into our NAD and PSB sister brands before us - to help us blaze new trails, forge better paths, and create hi-res, hi-def, high-standard products that cut through the white noise and truly stand out in the world of home stereo. There’s a better way - iteration, improvement, innovation. The Bluesound identity. Generation 2i. Let’s go! With AirPlay 2 on Bluesound 2i, you can connect multiple Players around the house and have them communicate with each other through AirPlay. Listen to your music in perfect sync as you walk room-to-room, or play different songs in different rooms, and control everything from the Control Center on your iOS device. You can even say the song you want to listen to and where and let Siri take control of your music experience. Using your iPhone or iPad, you can ask Siri to play smooth jazz on a Bluesound 2i speaker in the dining room and the soundtrack to your kids’ favourite movie on a different Bluesound 2i speaker in their bedroom, or play the same song everywhere in the house without moving rooms. You can also use the HomePod to control select Bluesound Players. 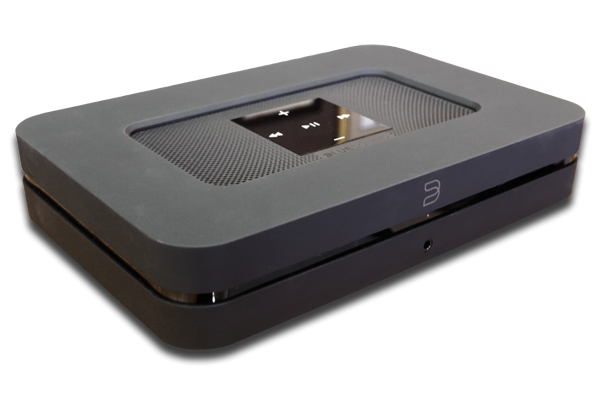 The Bluetooth functionality built into our Bluesound Players has been a key feature ever since the introduction of Gen 2. While App integration and network streaming was (and still is) the most ideal Bluesound user experience, adding Bluetooth gave us another option for connectivity that customers craved. Having Bluetooth built-in adds to the story of simplicity and convenience that modern music lovers want. With Gen 2i, we not only keep that connectivity intact, but we add to it. Gen 2i contains our most advanced take on Bluetooth to date - two-way Bluetooth, featuring both Receive and Transmit functionality. Receive capability allows users to wirelessly stream from their device to a Bluesound Player just like they’re used to doing with Gen 2. But Transmit capability means that you can now use your Bluesound. Player as a source, sending what you are listening to via Bluetooth to a pair of wireless headphones. Just imagine the peaceful feeling and convenience of listening to the most-loved songs in your music library wirelessly from your Vault 2i to your favourite pair of headphones, all using the BluOS App. CSR8675 chip that we use in these new products also supports aptX HD Bluetooth wireless audio. aptX HD is an enhanced codec that supports 24-bit music quality over Bluetooth and has been engineered to improve the signal-to-noise ratio, resulting in lower background noise. With the ability to support streams up to 24bit/48kHz, a customer streaming from an aptX HD compatible device to a Gen 2i Player is actually able to listen to better-than-CD quality, wirelessly. It all falls into the Bluesound story – modern wireless convenience without sacrificing quality. We’ve upgraded the WiFi chipset technology in our Bluesound Players to the latest and greatest 802.11ac dual-band offering. Our best-in-class products deserve best-in-class connection; with the new WiFi chip on-board, we can take advantage of the less noisy 5GHz band if needed. This results in faster connection times and fewer interruptions from other network traffic. 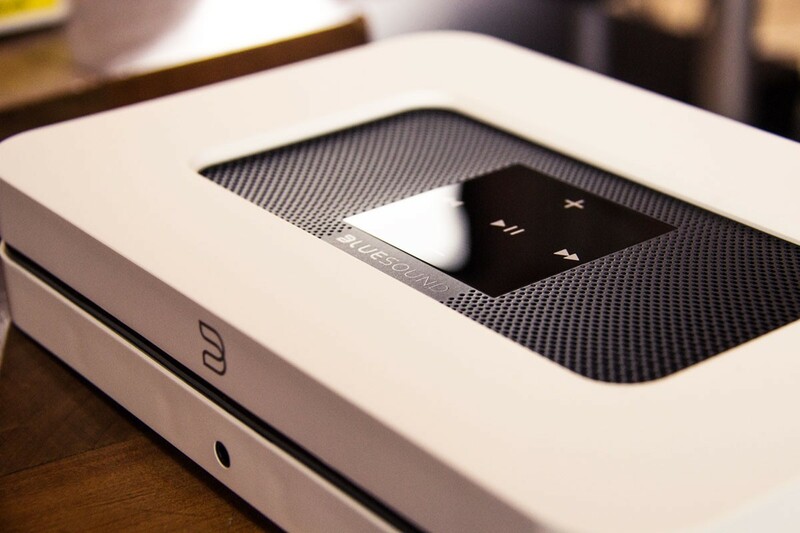 The Bluesound ecosystem uses your home wireless network not just to stream music, but also to communicate with other BluOS-enabled players on your network. The ecosystem can connect up to 64 players and through the BluOS Controller App for your smart device, you can play your music in perfect sync, or play different music simultaneously. BluOS is a wireless ecosystem that uses a home network to connect more than one enabled device and play your music in perfect sync, or different music simultaneously, anywhere in the house. Using advanced technologies, BluOS can wirelessly transmit lossless music up to 24-bit/192kHz at lightning-fast speeds with no lag and zero loss in sound quality. BluOS features seamless integrations with some of the most innovative smarthome controls on the market today. As a dedicated "music only" operating system, BluOS allows for interoperability among any enabled device. music in perfect sync throughout your home. BluOS Enabled speakers can also be stereo paired together for immersive, full-width sound. Easily connect and share your music collection from a computer or network-attached storage drive and access up to 200,000 tracks for streaming. With all Bluesound products you can instantly discover and enjoy millions of songs from your existing music services, tune in to your favorite internet radio stations and podcasts from around the world, or access and listen to the music collections stored on your smartphone, tablet or laptop on any and every Player in your home. Simply tap the music you want to hear in the BluOS app, anywhere in the home, and let any BluOS Enabled product be the heart of your listening experience. I've held back from streaming for a few years. First I was a bit frightened of having to use a computer to store my music. I use a PC at work and the last thing I want is to spend all evening with it. The second thing was the price; streamers seem so expensive! I did a bit of research online and also spotted the Bluesound product on the Moorgate Acoustics facebook page. Anyway I popped in and Doug let me have a listen to one of these into a Rega Brio amp and some B&W speakers; these being what I use at home. I was impressed with the sound and the ease of use and the app seemed a doddle to use. When I heard some Rolling Stones in 24 bit I realised I was hooked. So I took the plunge and ordered. They had stock so off I went. The Bluesound was so easy to set up! I was playing internet radio and music from my iTunes library in no time. I also took out a trial subscription to Tidal and me and my wife absolutely love that. Anyway a week in and I'm loving this. It has re-ignited my passion for music and that's saying a lot. I'd also add that because the control software is on the family Samsung tablet; my wife and son are also using my stereo! Your Inquiry about Bluesound Node 2i is Successfully Submitted.